Need to hire an SAP Consultant? Please leave your contact details below. One of our agents will be in contact within 2 working hours to discuss your requirements in more detail. Our client is a global consulting firm with offices all over the world. 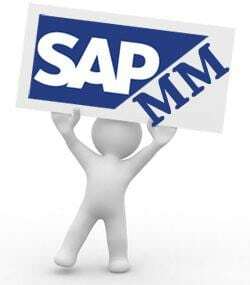 They are currently looking for a European based SAP MM (Materials Management) Consultant with strong Fashion and Lifestyle Retail experience to be based in one of the following six countries: Portugal, Germany, Italy, Netherlands, Spain or the UK. This is a permanent job and you must be based in any one of these six countries or be willing to relocate to one of these six countries only. You can live in any town or city because you will be based from your home address and be expected to travel up to 100% to client sites within Europe. The company offers a competitive salary package and an exciting multicultural work environment with plenty of opportunities for local and international career development. – You also need to possess excellent customer facing skills, be happy working on your own or as part of large project teams and be prepared to travel internationally! This is a very well paid job. The client offers a Highly Attractive and Competitive base salary above standard market rates. In addition they also offer a very Generous Bonus scheme. The standard company benefits on offer are also very Attractive and vary depending on which country you live in. Apply NOW to find out more about this fantastic job opportunity! €50,000 - €90,000 + Fantastic Bonus + Great Benefits! Please enter the text above in the box below.